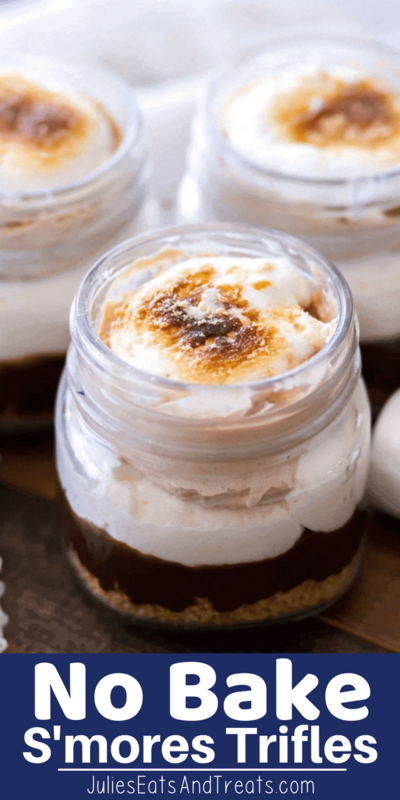 These Easy No Bake S’mores Trifles are a fun twist on the classic summer dessert! Layers of Graham Cracker Crust, Milk Chocolate Ganache, Marshmallow Cream Filling and Chocolate Cream. 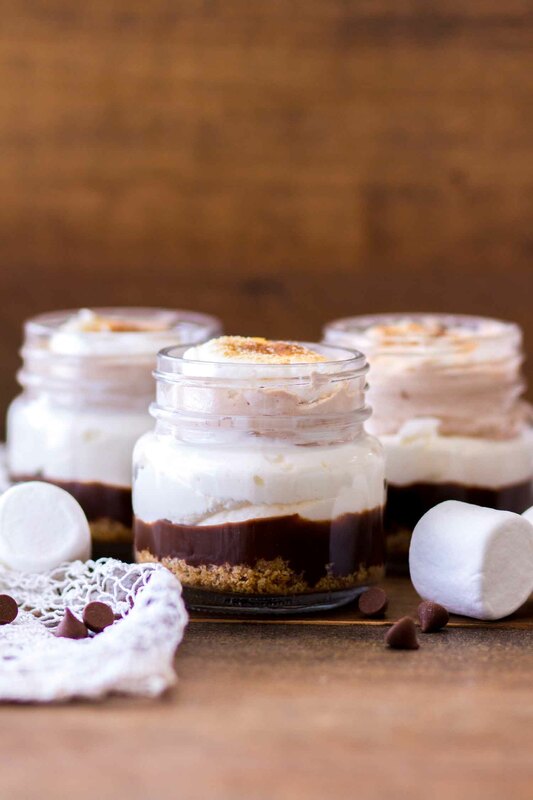 These easy s’mores trifles are layers of graham cracker crust, milk chocolate ganache, marshmallow cream filling, and chocolate cream. They are creamy, dreamy, and oh-so-decadent! 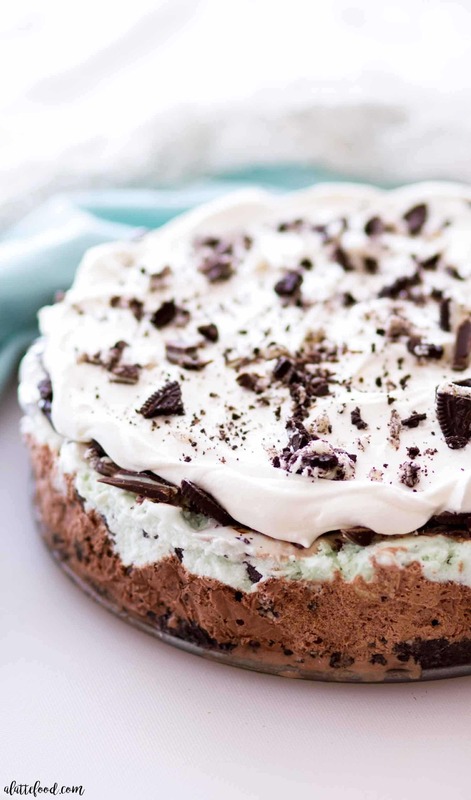 Raise your hand if you L-O-V-E no bake desserts! All right, so whenever I hear the word “trifle,” I can’t help but think about Friends and the Thanksgiving trifle disaster. 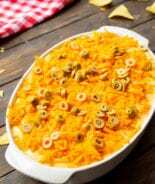 Of course, that episode is a classic, but their explanation as to why Rachel accidentally combined a shepherd’s pie and an English trifle never made a whole lot of sense to me. 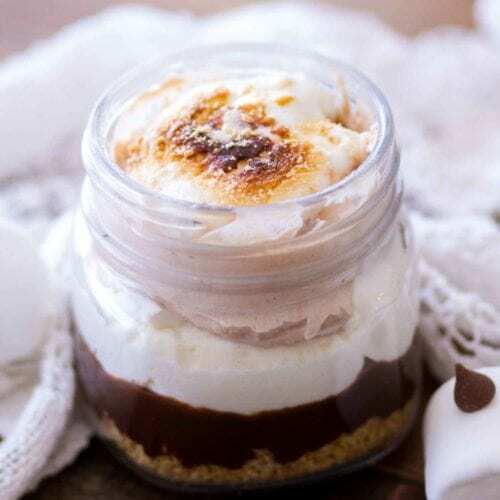 I’ve never actually had a traditional English trifle, and while I’m sure it would taste wonderful and all, I am super partial to these No Bake S’mores Trifles. 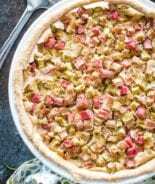 How can anyone resist the flavors of the classic summer dessert?? And when those s’mores ingredients are transformed into layers of chocolate ganache, marshmallow filling, and graham cracker crumbs, this twist on the classic s’mores recipe is out-of-this-world delish. 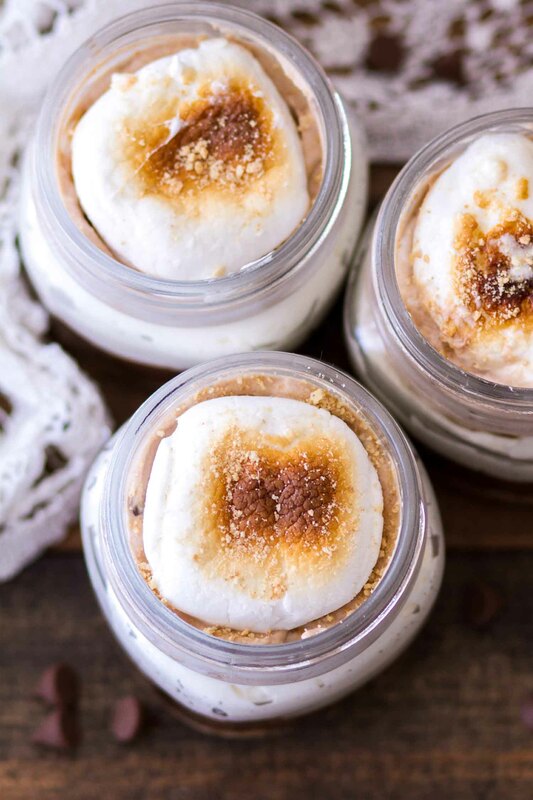 It’s probably no surprise I’m partial to this s’mores dessert (considering the fact I’m sharing this with you), but, if you love anything with chocolate, marshmallow, and s’mores-like in general, I am fairly confident you will love these No Bake S’mores Trifles! These simple s’mores ingredients come together in just a few minutes too, making this an easy no bake dessert recipe! 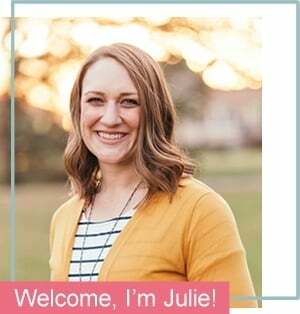 This no bake chocolate dessert recipe can be made in a large trifle bowl (depending upon how large your trifle bowl is, you might need to double the recipe). I chose to make these in half pint mason jars, because I wanted to make individual mini desserts for my family. 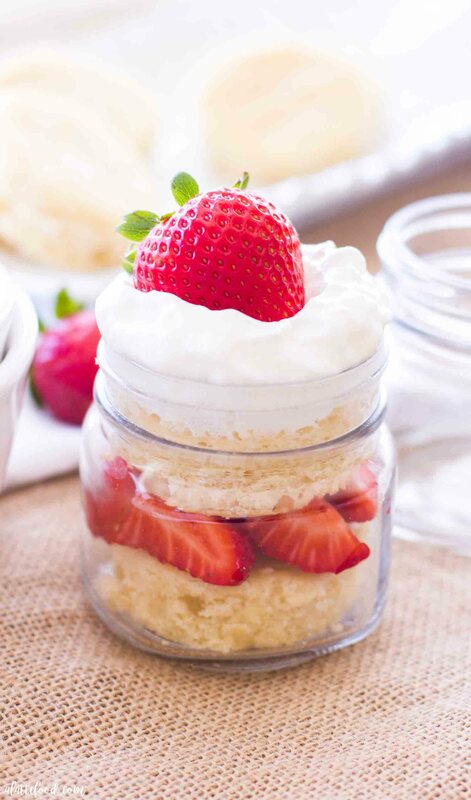 Personally, I love mason jar desserts because you can seal them up and take them anywhere (like these Mason Jar Strawberry Shortcake Parfaits). They travel well and portions are already divvied out. The marshmallow filling is a combination of marshmallow fluff, cream cheese, and homemade whipped cream. It’s a play on a fresh fruit dip my mom used to make when I was younger (cream cheese + marshmallow fluff = the best strawberry dip evvvahhh), but I added in some homemade whipped cream to make the filling extra creamy. Ganache is one of my favorite things in the entire world! 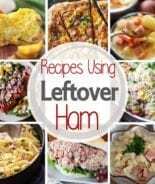 It’s fantastic on pretty much any dessert, and you can use it in a variety of way. For this easy chocolate ganache recipe, I used milk chocolate (because what’s a s’more without milk chocolate). The only other ingredient you need for ganache is heavy cream. Heavy cream is heated until it simmers (on the stove or in the microwave), then it’s poured over the chopped milk chocolate (or milk chocolate chips). The mixture sits for a few minutes, then it is whisked until smooth. 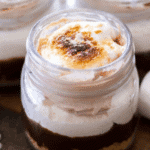 These No Bake S’mores Trifles are a fun twist on the classic summer dessert! 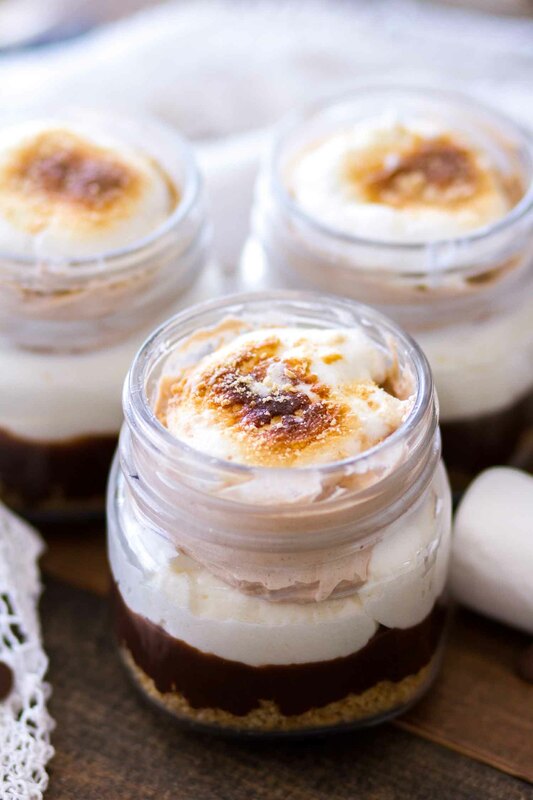 These easy s’mores trifles are layers of graham cracker crust, milk chocolate ganache, marshmallow cream filling, and chocolate cream. They are creamy, dreamy, and oh-so-decadent! In a bowl, mix graham cracker crumbs and melted butter. 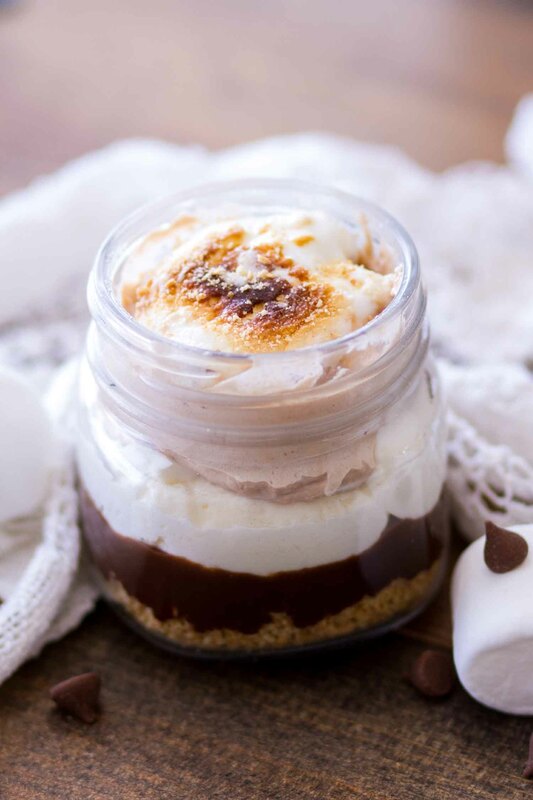 Divide the graham cracker crust between 6 half pint mason jars (or any dessert glasses; however, depending upon the size of each glass, this recipe could serve more than 6). Set aside. Heat 1/2 cup of heavy whipping cream in the microwave (or on the stove) for about 30-60 seconds, or until the heavy cream is just about simmering. 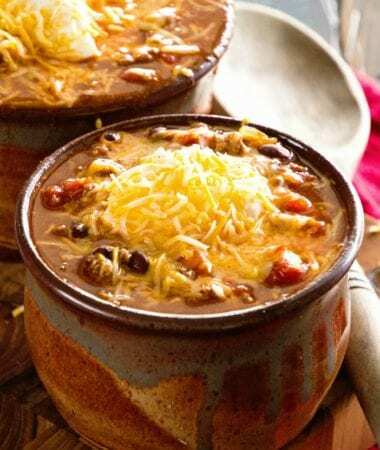 Place chopped milk chocolate in a bowl, and pour the heavy cream over the top. Allow to stand a few minutes before whisking the ganache until smooth. 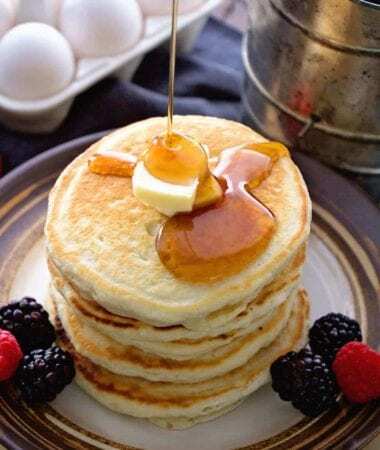 With a hand mixer or standing mixer (with the whisk attachment(s)), whisk heavy whipping cream and powdered sugar until it reaches the consistency of whipped cream (stiff peaks). Mix cream cheese and marshmallow fluff together, then add in half of the whipped cream and fold until combined. Fold 2 Tbsp of chocolate ganache into the remaining whipped cream. Divide the remaining ganache evenly between the 6 mason jar glasses, using a spoon to spread the ganache to the sides of the glass (if needed). Divide the marshmallow cream filling evenly into each glass, placing on top of the ganache. Lastly, divide chocolate whipped cream evenly, placing on top of the marshmallow cream filling. If desired, place 6 marshmallows on a baking sheet (I lined mine with a Silpat baking mat). 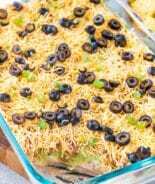 Allow them to cool a few minutes before using a spatula to remove them and place on top of each trifle. I have never seen a trifle like this before! This is genius! I can agree with that! YUM! It says there is a chocolate cream layer as well as chocolate ganache, but I don’t see directions for a chocolate cream layer. We were referring to the layer of cream with the chocolate ganache in it. 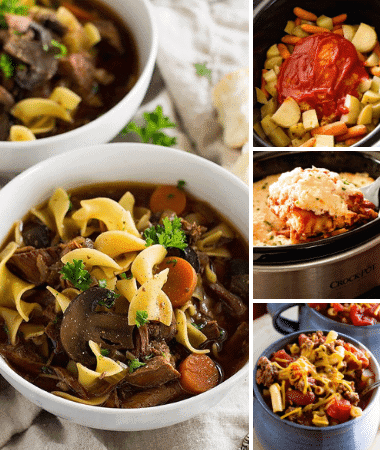 Simply delicious looking! Picture perfect! 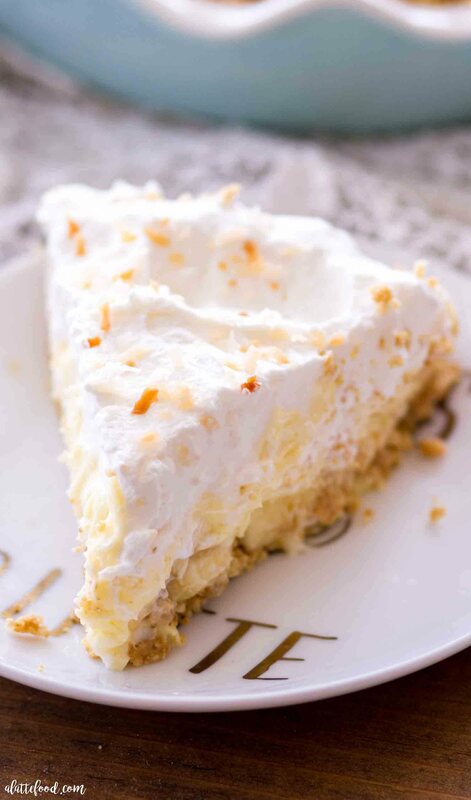 Such a perfect summertime dessert! It’s not summer unless there is some type of smore’s dessert!! 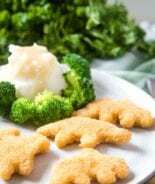 My kids would love these!! Got that right! S’mores for life!